Description: Sized 25" x 36". 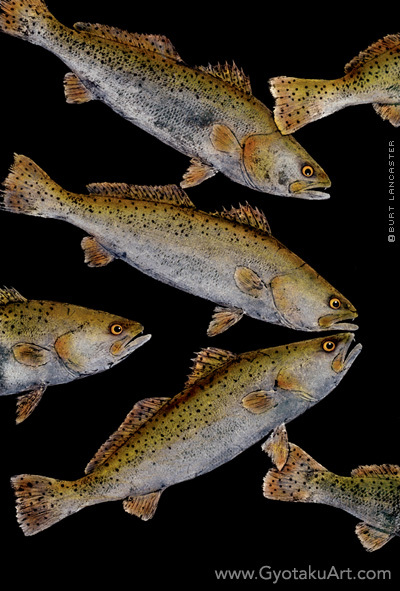 Multiple spotted trout are in action on a black background. Giclee is available. Species: Size is usually 1-2 lbs. up to 4 lbs. Table fare is excellent. The Spotted Seatrout is found in the Gulf of Mexico and Atlantic Ocean.